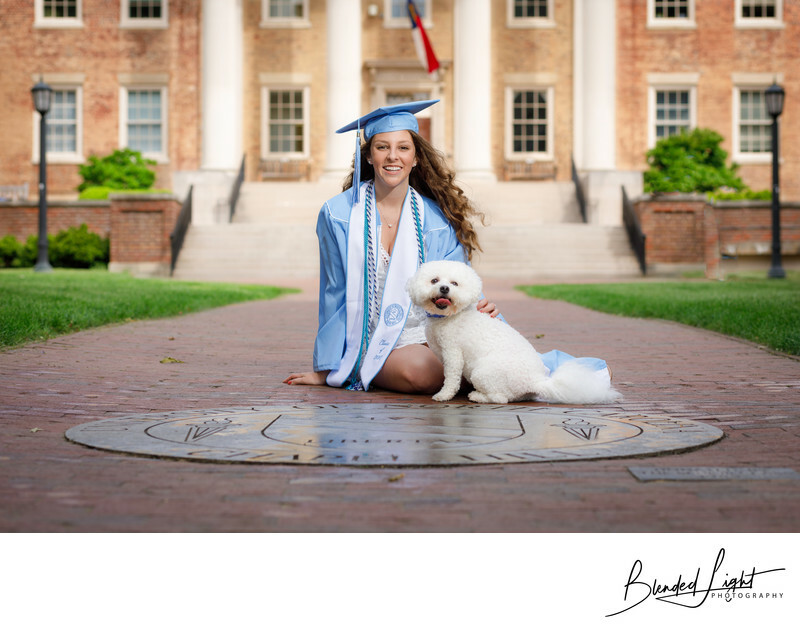 With only a couple days left before she finished her degree from UNC Chapel Hill, Lauren had her dog join her in this senior images on UNC's campus. Location: University of North Carolina, Chapel Hill, NC. 1/200; f/4.5; ISO 50; 85.0 mm.